Telefora Classic Pearl Ornament is what I was sent to review and you can go overboard and remind everyone on your gift list how special they are by indulging them with this delightful floral bouquet that will have them gleaming with joy. 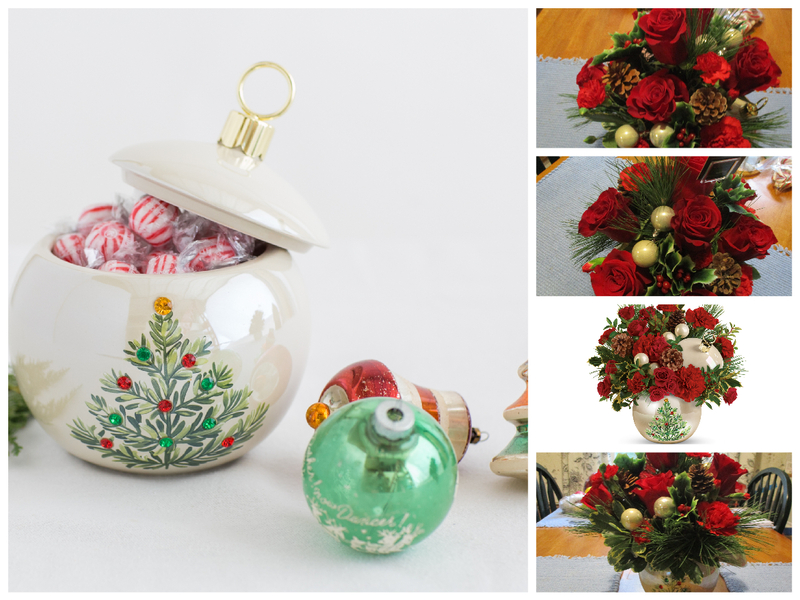 In the true spirit of giving, it arrives in this 2-in-1 keepsake, a ceramic ornament jar with tree detail and hand-glazed pearl finish that serves as a great collectible for holiday entertaining and displaying your favorite ornaments or sweets. 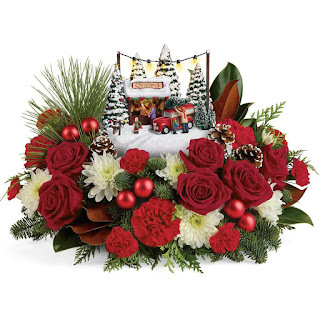 The elegant bouquet includes red spray roses, red carnations, red miniature carnations accented with holly, white pine and red huckleberry. You can also choose from Thomas Kinkade’s Family Tree Bouquet is hand sculpted and hand painted to celebrate family festive memories from years past, all set atop a magnificent bouquet of fresh flowers of red carnations, red miniature carnations, magnolia leaves, flat cedar, noble fir and white pine. 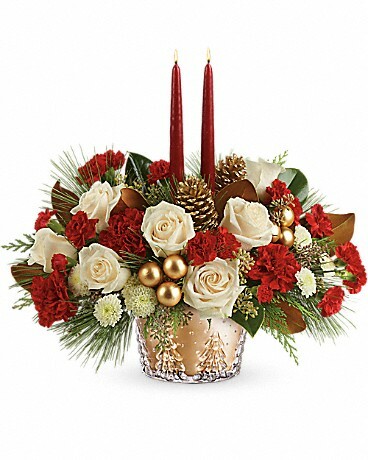 Winter Pine Centerpiece is elegant with roses and winter greens that is hand-arranged in a gorgeous glass bowl and finished with 2 red taper candles. This holiday season instead of hiding how you truly feel why not show your true feelings rather it is love, care, a meaningful act of kindness, or concern and Love out Loud! Tell me a moment that you felt was meaningful or was a #LoveOutLoud moment. My Opinion: I received a very beautiful arranged bouquet from my local florist that was larger than expected in person compared to looking at it online but looks perfect on my kitchen table and I love the cute Christmas tree on the ornament candy dish made with rhinestones.